Defence Construction Canada — Engcomp. Stay Curious. 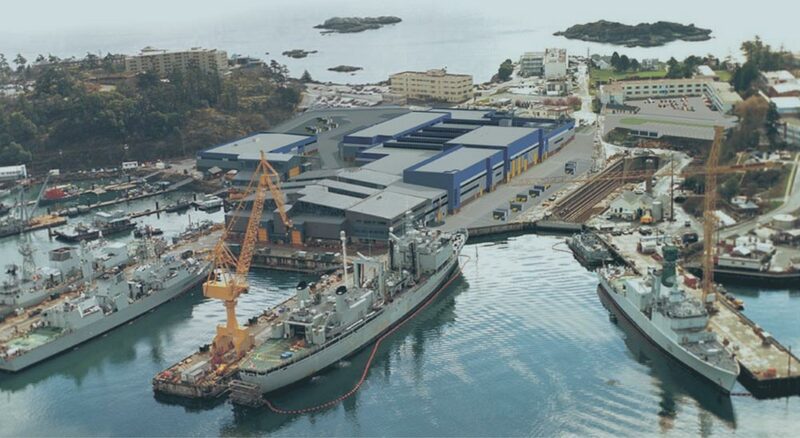 Engcomp was contracted by Defence Construction Canada (DCC) to assist the Department of National Defence (DND) in defining the budget for Phase IV of the Fleet Maintenance Facility Cape Breton (FMF (CB)) Shop Consolidation Project (Project 4360). The study was to be executed in 4 parts: Project Evaluation, Contingency Analysis, Project Risk Analysis and Project Documentation. The FMF (CB) Project has been ongoing for more than 10 years and is currently in the fourth phase of execution. On any project there is always room for improvement. Documenting lessons learned from the past provides opportunity to make improvements for future projects. Engcomp provided a review of project issues to date and offered recommendations on key areas of improvement for increasing the likelihood of future project success. The primary reason for Engcomp's involvement, however, was to conduct Monte Carlo simulations on the project in order to quantify uncertainty in defining the budget and schedule. Engcomp has developed a system that breaks this into two simulations – Contingency Analysis and Project Risk Analysis. The outcomes of these analyses are quantification of Cost Contingency, Risk Reserve and Schedule Contingency. Through Engcomp's facilitation process, valuable information contained within a dynamic group of subject matter experts was gathered. These stakeholders have much experience in their respective areas of expertise both on and off the FMF Cape Breton project. Utilizing the gathered information in a productive way provided a deliverable which will help DND to deliver their project on budget and on time. The goal is to consolidate and upgrade the Fleet Maintenance Facilities, which are currently smaller facilities spread all over the base, into one large facility incorporating lean manufacturing concepts. The project currently sits in the middle of Phase IV execution. DND requested evaluation of the remaining budget and schedule required to complete this phase. Although there have been risk assessments completed on the project in the past, a true risk analysis using Monte Carlo simulation has yet to be completed. Part 1 - Project Evaluation: Information gathering mission where Engcomp gathered project documents, toured the facilities, learned about FMF operations and interviewed major stakeholder groups for the project. The deliverable included recommendations on improvements to project operations and policies. Part 2 - Contingency Analysis: Site meetings included estimate review, team calibration and variability brainstorming. Custom reports based on the Monte Carlo simulation were prepared to suit the specific requirements of DND. The outcome of this analysis was the required project Contingency including evaluation of Escalation. Part 3 - Action Plan: Engcomp provided Facilitated Project Planning Services to prepare an appropriate schedule and action plan for the rest of Phase IV. Part 4 - Project Risk Analysis: Site meetings with the planning team included schedule variability brainstorming and risk register brainstorming. This combined with the Contingency Analysis provided the input data required for generating the model. The outcome of this analysis was the project Risk Reserve and Schedule Contingency. The results also provided the basis for the project Cash Flow which Engcomp prepared. Part 5 - Project Documentation: The documentation included risk analysis methodology and sufficient instruction such that the approach can be applied to other DND projects. Engcomp also provided input into the preparation of an updated Project Profile Risk Assessment report.